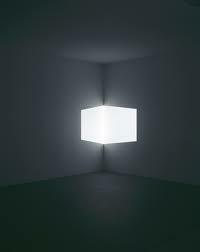 To say James Turrell is an artist would be accurate, but he is not an artist in the conventional sense of the word. He hangs nothing on the wall. For the past half-century he has been bending light, creating visions and perceptions that confuse the mind and manipulate the senses. At 70 years old, he is a tireless worker who puts on major shows in museums around the world. In addition, since the 1970’s, he has been slowly excavating a series of shafts, tunnels and underground rooms in an Arizona crater. The light will shine in and produce an experience unique to the world. This project, his life’s work, includes terraforming the lip of the crater to create an image against the horizon. Even his famous contemporaries look at his work with a measure of envy. Said Chuck Close, “He is an orchestrator of experience, not a creator of cheap effects. And every artist knows how cheap an effect is, and how revolutionary an experience.” This quote came after the wheelchair-bound artist lay on his back in the crater, gazing at the shaped rim of the caldera and how it distorted the sky. 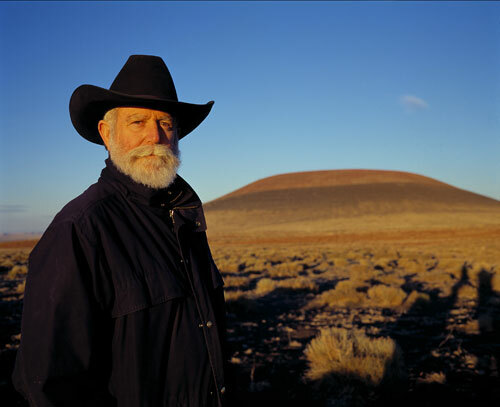 Turrell has been able to create his wonders through a series of grants and fellowships, including one from the Guggenheim, and this has allowed him to explore his unique vision. When at first he could not secure financing for his volcano, he purchased the surrounding land, turned it into a cattle ranch, and now manages a 2,500 head herd of grade-A organic beef. Life in the all-boys Catholic school in Ohio focuses on academics, sports, and faith. It is odd, then, to see a circle of boys, some nerds, some jocks, some hipsters, sitting on plastic chairs, eating pizza, and talking about death. All of the boys have lost someone. A parents, sibling, best friend, someone that causes them to grieve. After the school lost a beloved teacher in 2000, they brought in two women from a group called “Companions on a Journey”, which provides grief support for children, teens, and adults. The boys learn that their grief is not something they can sweep away, and not something that will disappear, but it is something they can manage. They learn this by talking, writing, supporting, and even hearing from their own teachers that come by to share their own stories. 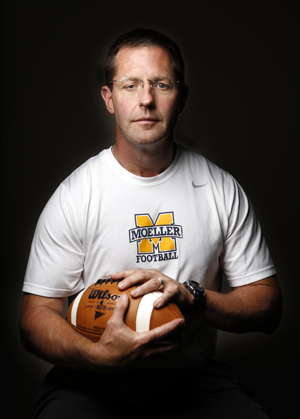 Weeks after their first school football title in 27 years, four members of the team listened to their coach talk in short, clipped sentences about the death of his own father in the 8th grade. In the past three decades, the understanding about grieving for children has changed dramatically. No longer are children shielded from grief, only to have it emerge later, and sometimes more dramatically, in life. The prevailing theory is that children need to confront their grief, share their experiences, and learn to manage it. Teen grief counseling has become an established discipline. The Fernside Center for Grieving Children helped 16 children 29 years ago, and last year served 1,600. In fact, 3.5% of children will experience a significant loss, a number that will rise as the average age of parents increases. The worst thing in the world is how stark it seems. The pace of life has become a frantic whirlwind of news, numbers, economics, and utilitarianism. If you aren’t part of a system generating tangible wealth and economic growth, then get out of the way. Recent news out of Kansas: they are abolishing 100% of state funding for the arts! When I read stories such as the two highlighted above, it illustrates just how important depth in our society is. There are millions of us on the planet, and not all of us need be a cog in the production machine. It is important for our health as a species to support people like James Turrell. People with unique skills and visions deserve to have the chance to explore them with our support. By enriching them, they in turn enrich us, giving us gifts we could never experience on our own. Programs such as the grieving program at Archbishop Moeller High School seem to be the “extra” ones, along with music and drama, the first to be cut down in defense of science and math. Yet it is these programs that help boys become men unburdened from their loss. It allows them to be contributors to society, and adds an invaluable dose to the meagre amount of empathy in the world today. Not everything has to be quantified. There is room enough for people’s passions. The corporate psychopath streamlining of society leaves no power for a ray of light bending to an artists vision, and has no time on the agenda for chocolate chip cookies and a linebacker’s tears. I hope that as we people struggle with a world of our own creation, we can see the value and importance of a society with depth, joy, loss, and wonder. There is so much good to be had. There are millions of us on the planet, and not all of us need be a cog in the production machine. Why not? One can't expect someone to pay for something she doesn't want. Also, artists should be able to support themselves, their art does not suddenly get better when they're on a handout, does it? If the Kansassians wish to abolish the arts, let them. It will come back to them, or not. People can leave Kansas if they don't like it, or change the government. Also people hating art can move to Kansas. As someone who went to a catholic school in Ohio and lost two classmates to drunk driving right before graduation this article hits very close to home. Our school much smaller then Moeller it was something incredible to see the entire school come together. I went to a public school before transfering and the culture and people were drasticly different as someone who has experianced both school systems I will be puting my children in a catholic school in the near future. Also, artists should be able to support themselves, their art does not suddenly get better when they're on a handout, does it? No, it doesn't get better, but in many cases it ceases to exist when the artist has to do something else in order to feed and clothe themselves. We have this image that an artist somehow should be starving and destitute, and that somehow justifies how little we, as a society, support it, but it's pretty silly. There's a lot of extremely talented people who would love to have been an artist, and would've been great at it, but don't want to take the huge risk of seriously trying to become one. they wouldn't have been "great" - that's the whole point of cutting art funding. it's to differentiate the great from the mediocre. The pace of life has become a frantic whirlwind of news, numbers, economics, and utilitarianism. Only if you let it become this way. And that's as much pro as contra this blog. Their art doesn't get better, it becomes possible. The way I see it, the world has a surplus, and it should be used in ways that make societies richer and deeper. Otherwise, what is the point? Itiwn't always in your control though. That is why I respect those people who can step outside the machine and spend their life tunnelling a dormant volcano, creating something. This is the dumbest thing I've read in a while. Thanks for the article man. Took a break from the internet/general news consumption for a good while there. The never-ending stream of celebrity tittle-tattle, inane crap and a constant reinforcement that people are merely cogs in some economic machine were really dragging me down. Returned today and lo and behold, something that piqued my interest! The grief counselling programme looked good as well. In my case I lost my father in the last year, and while one-to-one counseling was available, sometimes discussing such issues among your peers can be more cathartic for the soul. Reread what you just wrote, it makes no sense dude. Art is a money issue too, the greats don't shine if they can't eat. No docvoc, evidently greatness, or artistic merit is only measurable in terms of the monetary rewards you can get from pursuing it. Wow I am going to visit James Tulley's ranch damn it!!! Arizona !! Mani Thank you! These are the types of stories that keep me going. Its a hard world , demons within and without, without wich there would be no beauty..no life... Circles its all about the circles.. Losing a parent is the one of the worst things that can happen to a child. The next, in my opinion, is abusive parents. I just want to bring up an alternate perspective, although 3.5% of children is a large number, the majority of the other children, the 96.5% that DO have two parents, benefit from the government bolstering funding towards math and science. As a politician, they cannot please everyone and so they will always be criticized for what they do by someone. I think it's a bit of a generalization to use the term corporate psychopaths, that is profiling a the majority of politicians in a negative connotation. Society is in a period off economic negativity, and such cuts must be made. If you were a politician, how could it be justifiable to extend the limited education budget towards helping children who have lost a parent compared to helping the majority of the other children who are seeking a better education? Thanks for this. I'll make sure not to speed in Kansas.